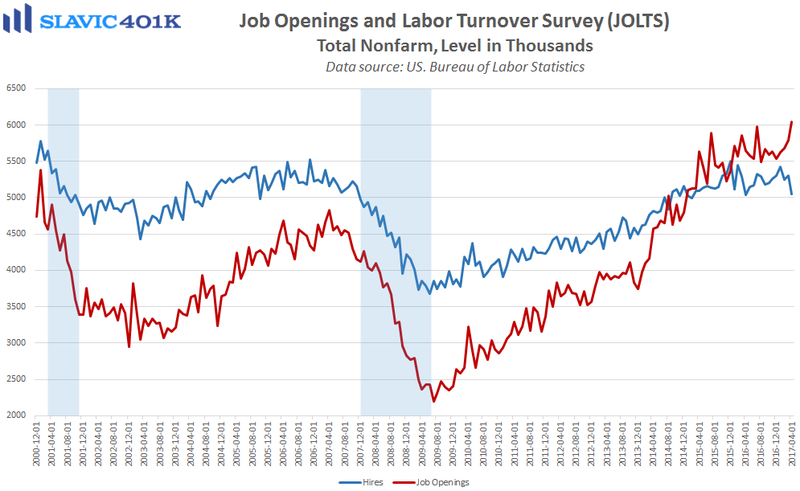 The latest job openings and labor turnover survey (JOLTS) from the Bureau of Labor Statistics, one of Federal Reserve Chair Janet Yellen’s favorite economic indicators, showed that there were 6.044 million job openings in America in April (lagged release). That was an increase from March’s upward-revised 5.785 million print and the best headline reading on record. Total hires, though, fell in April to a 1-year low, which provides more evidence of the tightening labor market in America, i.e. strong demand for workers combined with a scarcity of qualified applicants. 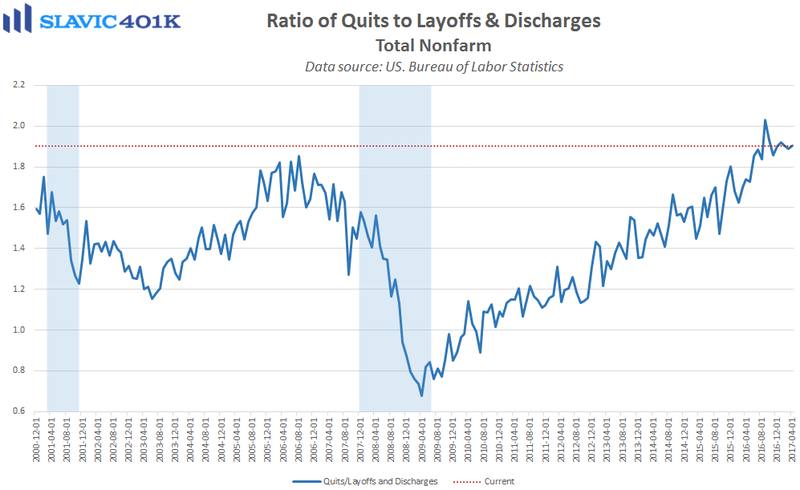 Moreover, the number of unemployed Americans per job opening fell in April to an all-time low, and the ratio of quits to layoffs and discharges remained near a record high. 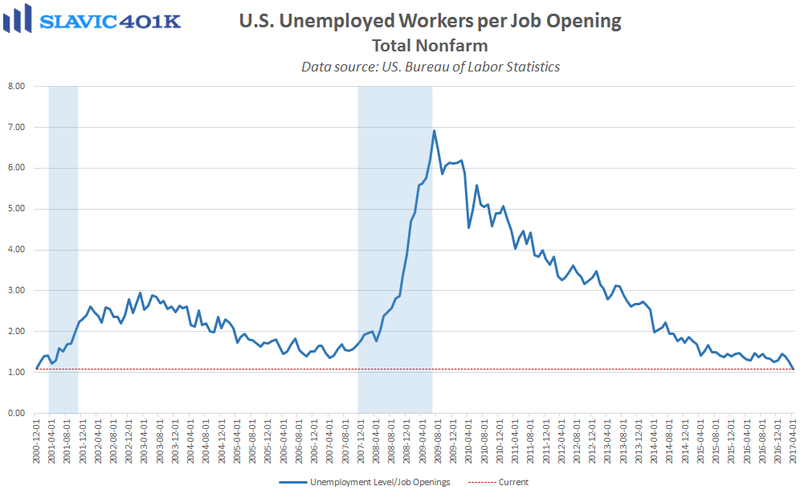 The latter highlights U.S. workers’ increased willingness to give up their current job security for better employment opportunities.